The banking crisis was caused by people using the money trick - see the Ragged Trousered Philanthropists by Robert Tressel - to funnel cash from the poor to the rich. They pushed all the money into dividends and bonuses before busting the banks and demanding government bail-outs. They mistakenly believe that huge wealth can somehow make them special cases and immune from unhappiness. Money can do so much for them, surely it can do thisd too. Sadly for all of us, they find that they are wrong too late to fix the damage they have caused. We live in a very strange world where some people are obese while others are struggling to find food and neither state is a particularly happy one. In the same way, some people are incredibly wealthy while some are incredibly poor. Again, neither situation is conducive to happiness. The rich are riddled with problems, drug addiction, alcoholism and plastic surgery aren't symptoms of a happy or meaningful life. But then neither are alcoholism, repeat offending or benefit fraud. Notice we get alcoholism in both states. It's heart warming to see so many people getting out and about and doing something to change the world. Unfortunately, I can't help feeling that they are campaigning for the wrong thing! Listening to the today programme on radio 4 this morning I heard a story about how we should test kids in PE to make sure they are getting fitter. And I thought, well, hey, why not teach them about what makes people happy - and then test how happy they are - and then see if we can make them happier. Which is either crazy, or a brilliant idea which will happen pretty soon! Sometimes it's hard to tell the difference. 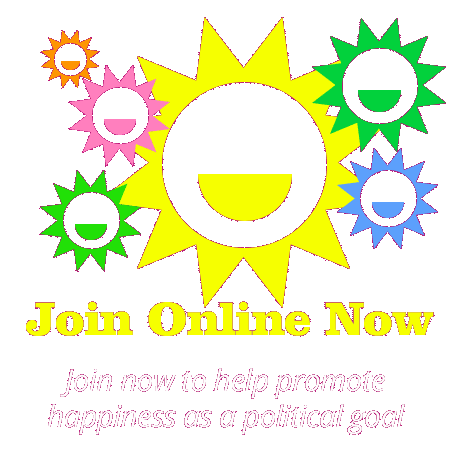 I've just been looking through a great site - www.actionforhappiness.org - doing all the things that we should have been doing here but haven't had the time or resources. Can We Have a Mature Response to Happiness? I've just been watching Question Time, and the general public seem to be hostile to the idea that the government should be concerned about their happiness. "What a waste of money" seemed to be the general feeling. Read more about Can We Have a Mature Response to Happiness? The campaign launches today, so the news will probably be full of happiness. It looks like David Cameron has been reading this site, he's announced a new index of well being for Britain - GWB, General Well Being as opposed to GDP. This is how The guardian reported it. 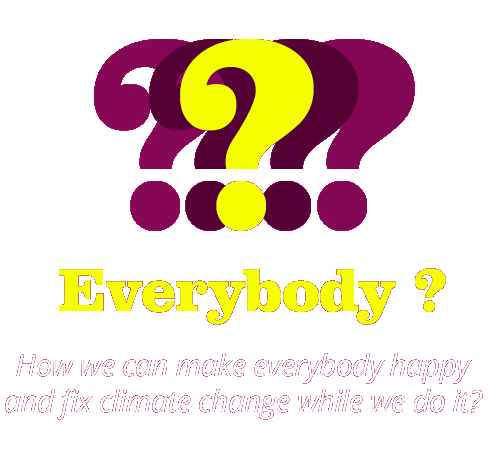 Read more about David Cameron Wants To Make Everybody Happy! "Taking part in gardening can make a child feel happy and boost their development, research suggests." Of course, we already knew that, but here is yet more research to back it up!